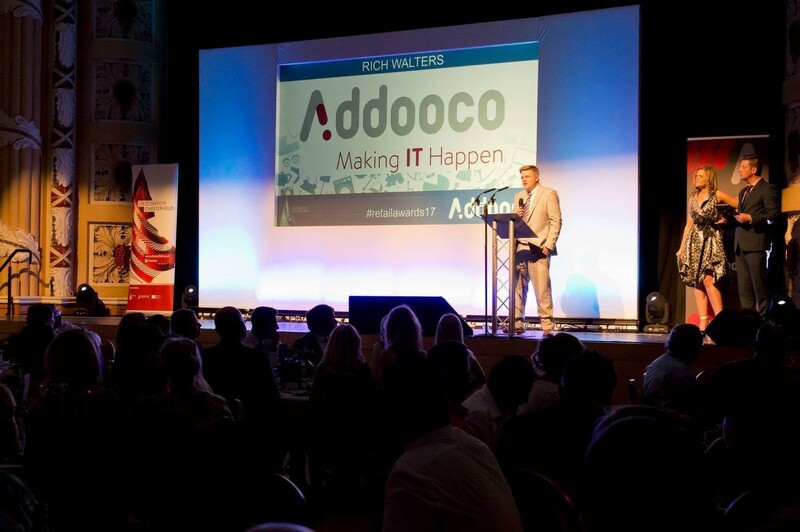 As reported earlier, Addooco were named as primary sponsors of this years Chesterfield Retail Awards. The team reported an extremely successful and enjoyable evening celebrating the town’s vibrant retail scene, as well as a great informal networking opportunity. Addooco were joined at the table by representatives of Parsons Contracting, Ashgate Hospice, Merlin Software, NDVA, Chesterfield Cricket Club, Derbyshire Community Health Service and Destination Chesterfield. Addooco Managing Director Richard Walters entertained the room with a speech touching on his vision for the use of new technologies to push the retail sector forward, as well as presenting Chips Computers, winners of the Phones and Technology category with their well deserved award. Addooco would like to congratulate all the finalists and winners, in particular Northern Tea Merchants as overall winner. Thanks also to Destination Chesterfield for a wonderful event and Kat and Ricky from Peak FM for their hosting.